If you want to write a business plan, Apple’s plans for the Macintosh can help. Business plans are often composed of four parts. There is typically an executive summary, a marketing plan, a management team description and a breakdown of company finances. When Apple’s Joanna Hoffman created the preliminary business plan for the original Macintosh in 1981 (available in full here), she added one more part: open issues. If you’re looking for a business plan template you can use to outline your product or service, you probably can’t find a better business to emulate than Apple. Here is a breakdown of what Apple covered in its 29-page document. The point of an executive summary is to succinctly describe a large amount of material without making people read too much. The quicker you can get others to understand your offering’s value, the better off you’ll be. Hoffman summarizes the Mac’s unique value with just four charts and two paragraphs. In other words, Hoffman was unaware of any high-functioning computers being sold in the second price bracket — from $500 to $1,500 — where Apple planned to position its Macintosh. 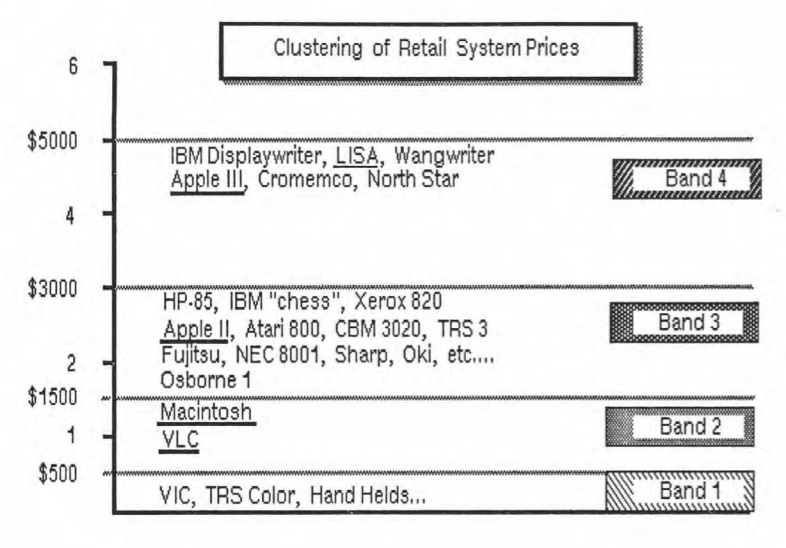 Most brands sold computers instead for somewhere between $1,500 and $3,000, which Apple considered the third bracket. Its plan was to create an accessible, affordable computer for less than $1,500 (the Mac) and an ultra-powerful option for more than $3,000 (the LISA). You can see how Apple chose to emphasize Mac’s differences from LISA in the famous 1984 Super Bowl commercial, three years after Apple created its preliminary business plan. In an interview with Bloomberg, Lee Clow (one of the creatives on the ad) explains how the ad was meant to show that computers were finally accessible to everyone, and not just for Big Brother or the elite. Look at the language in these statements — you see words like “any” and “every.” You see that Apple means to help “the students of the ’80s” — not some students or most, but all of them. In each case, Apple positioned the Mac to be available to more people than ever before. Some companies choose to separate the Staffing and Budget sections, but Apple chose to combine them in its Mac business plan. In large part, this is because Apple’s staffing decisions affected its budget so heavily. Note the fourth issue in particular. Apple wondered whether its 1982 release date was overly optimistic. Given that the Macintosh was actually released two years later, in 1984, clearly there was cause for concern. But, Apple’s business plan allowed for the company to foresee that and react accordingly. Apple’s early business plan helped organize its efforts for the Macintosh, and the Macintosh has helped revolutionize the computer industry. That isn’t to say everything went exactly according to plan. 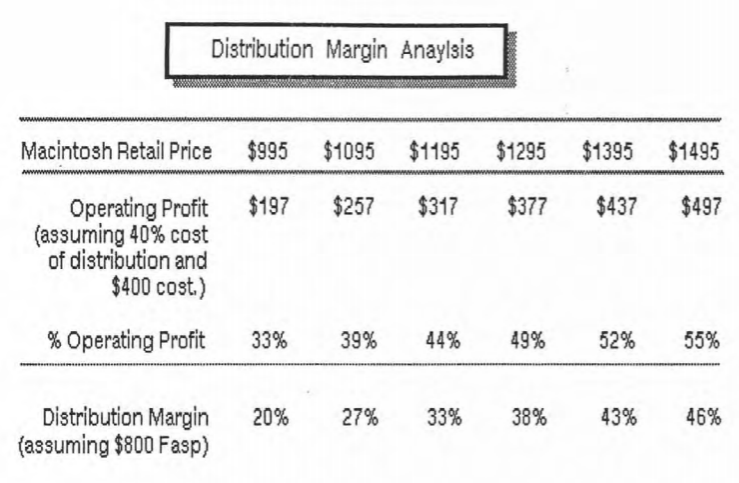 The first part of the Macintosh business plan was an overview of the product, or an executive summary. It explained how the Macintosh would be more affordable than any of its competitors. 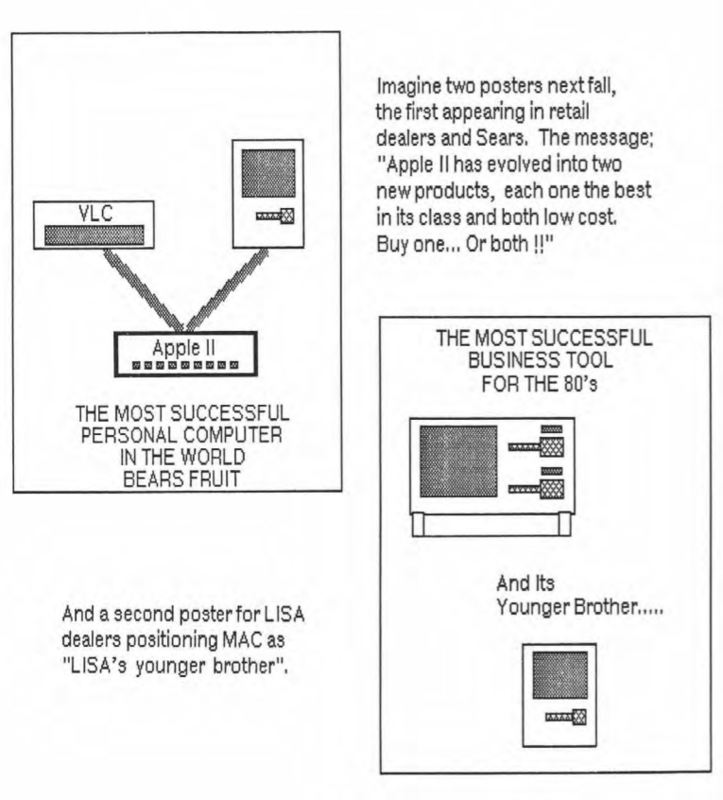 In the second part of the business plan, which explained the company’s marketing plans, you can see how Apple planned to market the Macintosh as a computer for the people. This idea was then clearly executed in its 1984 Super Bowl ad. However, due to the marketing costs, Apple ended up selling the Macintosh for $2,495 — well over its intended price. 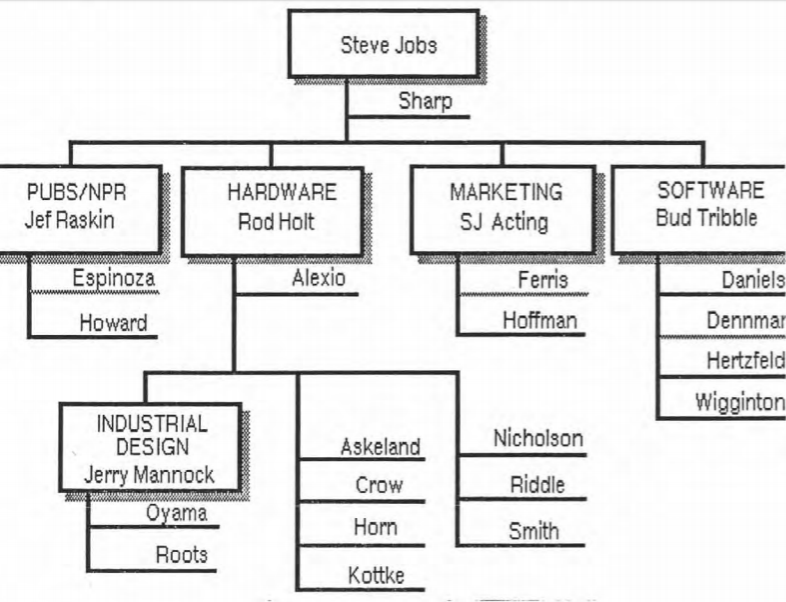 The third section of the business plan broke down the company’s organization, staffing plans and budget, placing Jobs at the top of the Macintosh’s organization chart. However, just a year after the first Macintosh was released, Jobs resigned from Apple and started NeXT. Those were massive setbacks, but life happens. Apple and Joanna Hoffman knew that when they put together the business plan, and that’s why the fourth and final section asked questions that Macintosh needed to address before its launch. When you’re writing your own business plan, you don’t have to do everything Apple did. You probably shouldn’t, in fact. But, you can use this plan as a template to organize your thoughts. You can even use it as inspiration to admit you don’t know everything. Clearly, not even Apple knew the future.